The School and the Cité du Design have been united since 2010 in an EPCC (public institution for cultural cooperation). This association is a real asset for the School, which benefits from the Cité du Design's activities and networks: talks, research programmes, etc. As the Cité du Design has direct links with the professional world, this provides the ESADSE with many opportunities to meet and get involved in projects with professionals, in particular through workshops organised with companies. The School is also fortunate in being able to take advantage of exhibition organising skills, a true field of experimentation for the students. In 2011, 2012 and 2014, as part of their course, the second year students on the ESADSE's art course were able to work alongside professionals on exhibitions in partnership with the FRAC Provence-Alpes-Côte d'Azur, the FRAC Auvergne and the Institut d'Art Contemporain - Villeurbanne Rhône-Alpes. 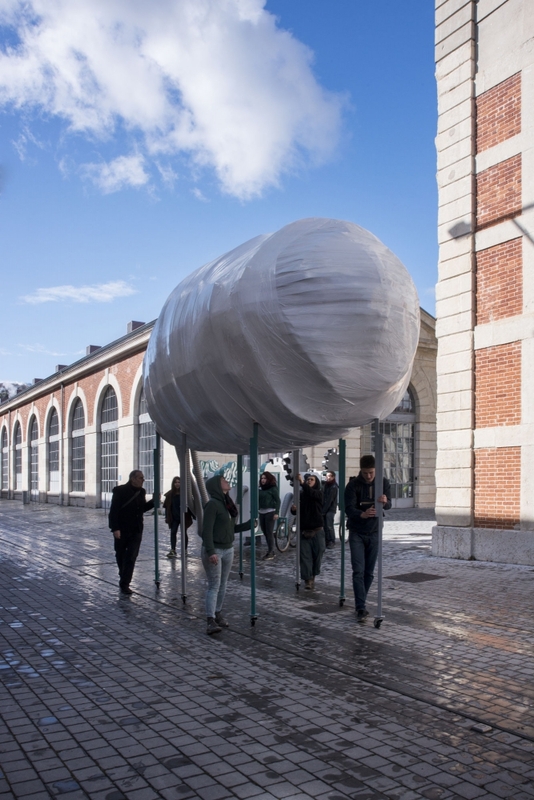 The ESADSE is the only art and design school in France to be fully involved in an international event such as the Biennale Internationale Design Saint-Etienne. It was the school that originally started this event: it created and organised the first four editions (from 1998 to 2004). Since 2006 it has handed over the reins to the Cité du design, which now organises the Biennial. Evidence of the increasingly professional nature of the event, this handover has enabled the ESADSE to concentrate on the programming and to develop actions with other higher education institutions. The event thus constitutes an original way of enhancing training, fostering exchanges and heightening visibility. "Fukushima mon amour" exhibition; "Demain c'est loin" showcased the work of the 2016 DNSEP Art and Design graduates. As for the ESADSE's postgraduate Design & Research course, it organised the "La Gueule de l'emploi" exhibition . Students' works produced as part of ESADSE projects were also presented during the Biennial. Design was created in 1857 to train designers and in particular to meet the needs of local ribbon makers, who were seeking to increase the decorative diversity of their products. Ever since its foundation therefore it has been closely linked to the industrial expansion and economic development of a city that was in the front of modernity in industry throughout the 19th century, particularly in the arms, cycle and ribbon industries.